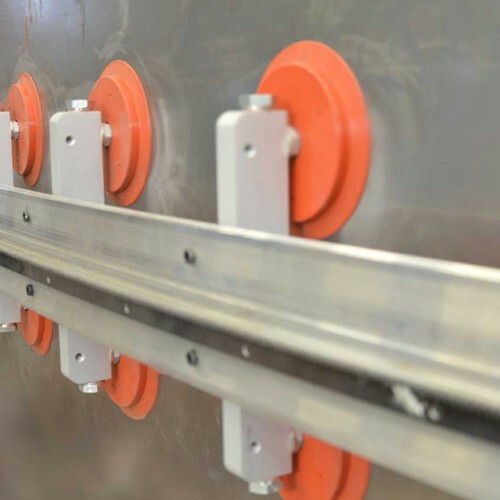 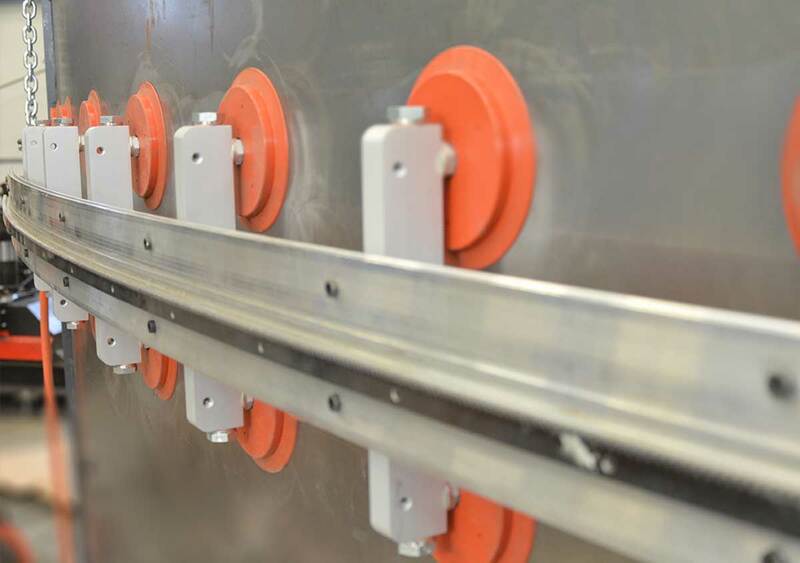 Promotech’s vacuum track system provides firm grip of track segments on materials such as stainless steel, aluminium, carbon steel, etc… Light-weight and modular design enables easy adjustment and fitting of the system to specific needs depending on welding or cutting applications and working positions (e.g. 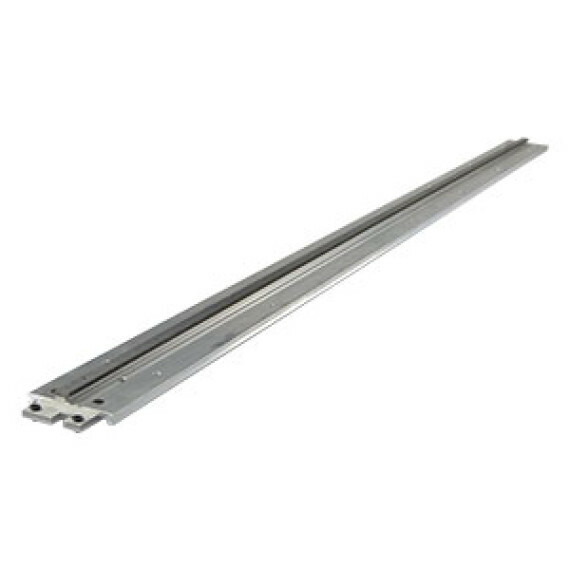 flat, horizontal or vertical). 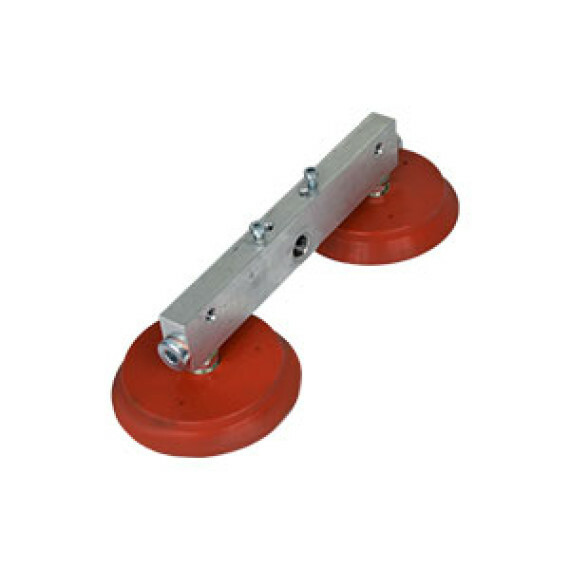 System is compatible with standard Rail Bull track segments. 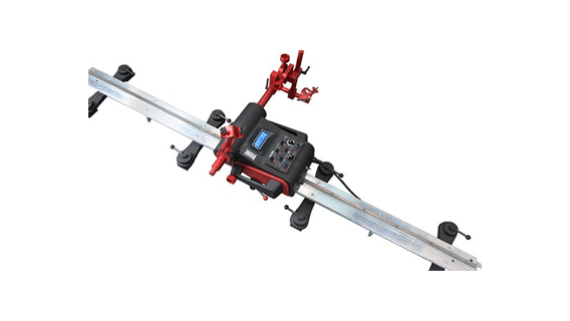 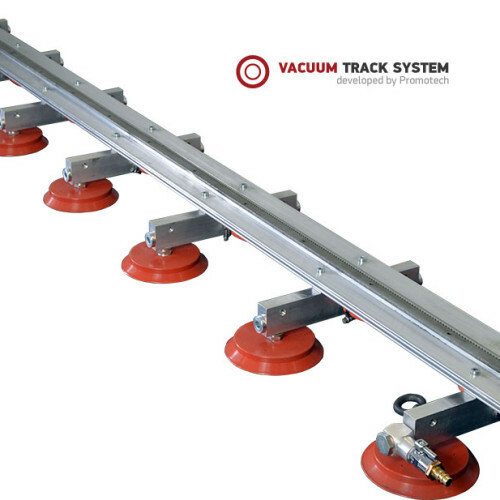 You can easily configure the whole Vacuum Track System depending on your needs and job in hands. 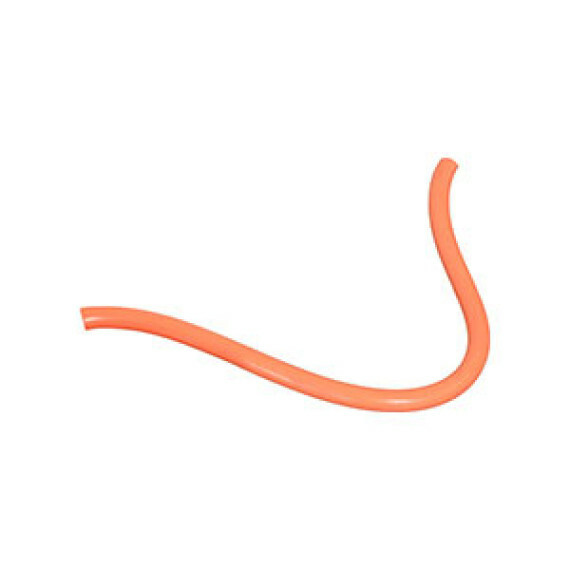 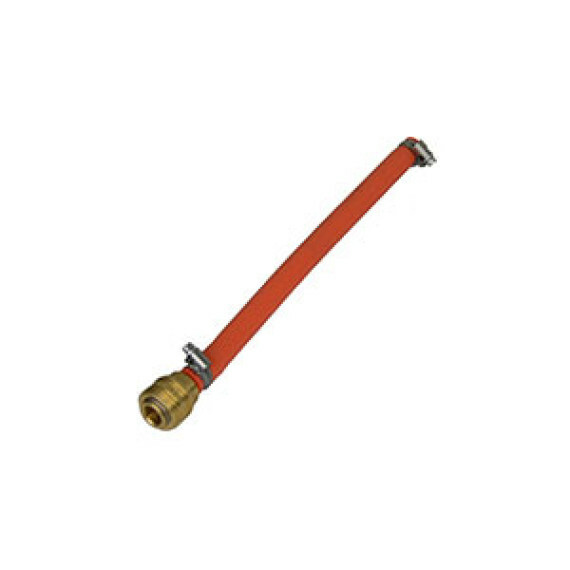 A large selection of system elements including rigid and semi-flexible rails, vacuum pads, hoses, valves and fittings help you make your work even more efficient. 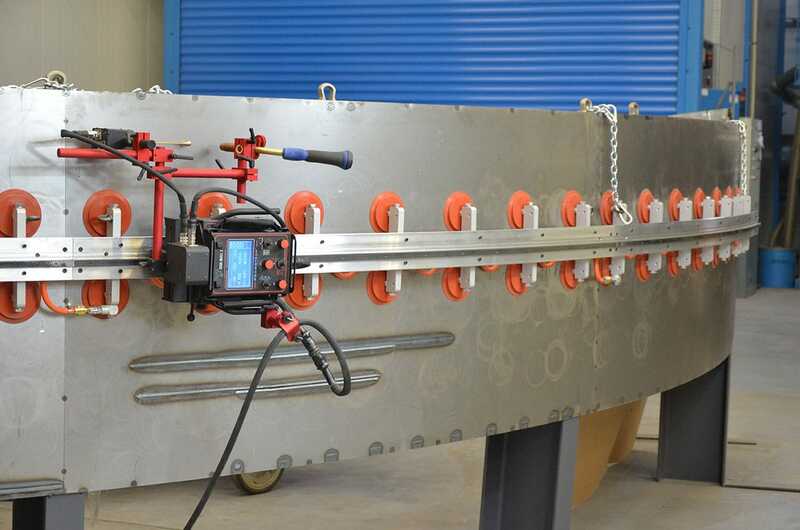 By means of Vacuum Track System you can perform lots of welding and cutting tasks in horizontal and vertical positions on both ferrous and non-ferrous materials. 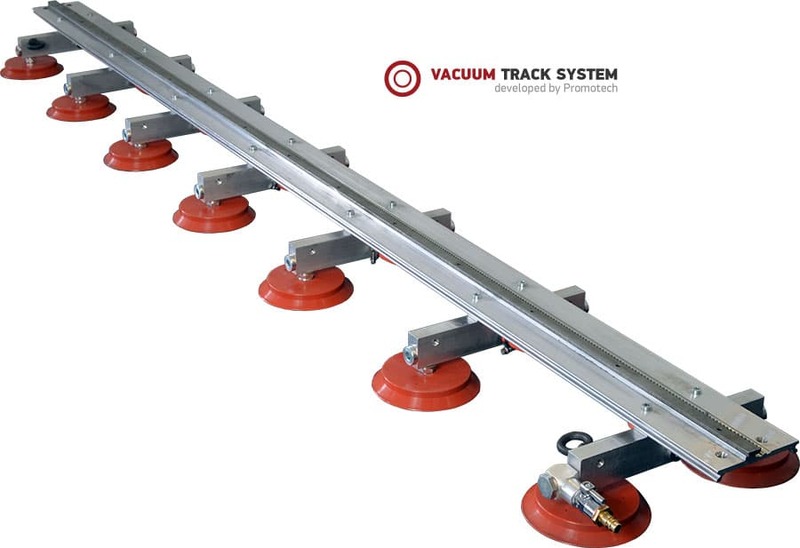 Make sure you are familiar with Promotech Vacuum Fixing System brochure including technical data and detailed information about this system. 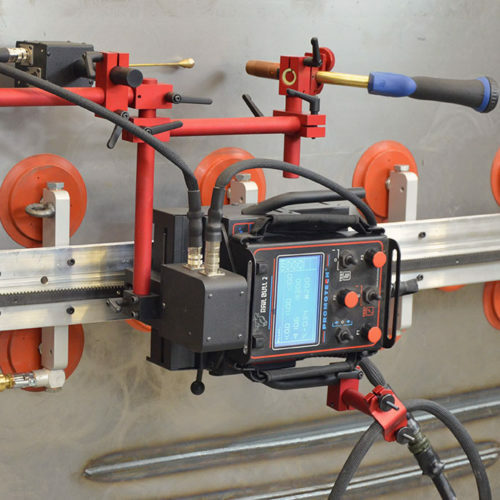 We recommend using our Rail Bull | Welding & Cutting Tractor with the system. 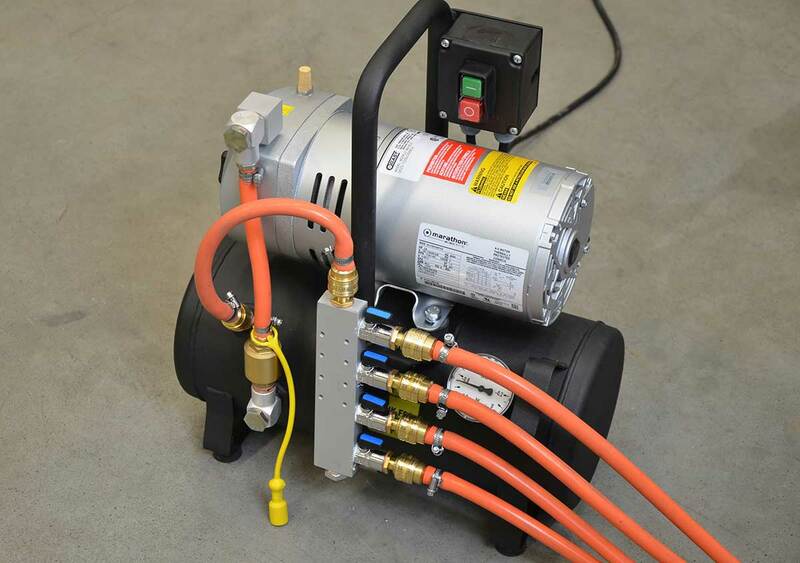 Promotech’s system consists of vacuum generating pump and vacuum units that fix the semi-flexible or rigid track to the surface. 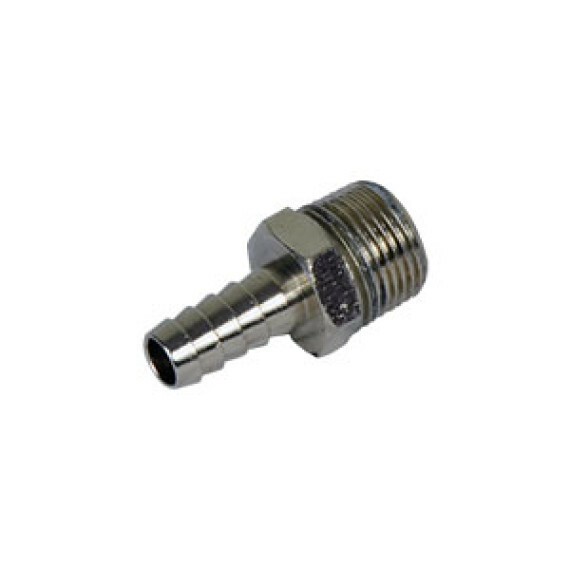 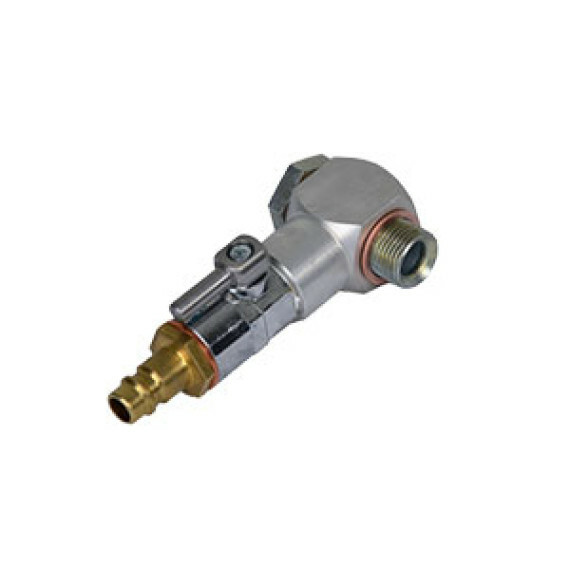 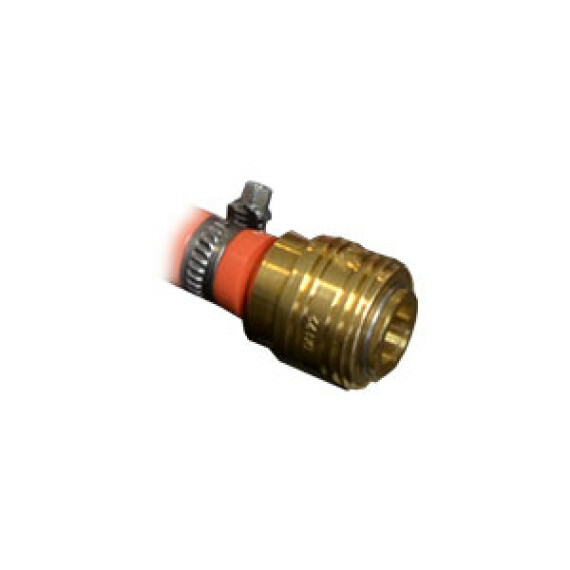 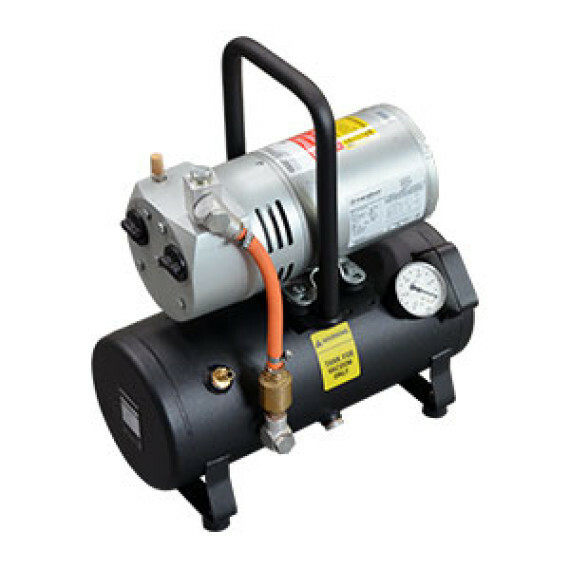 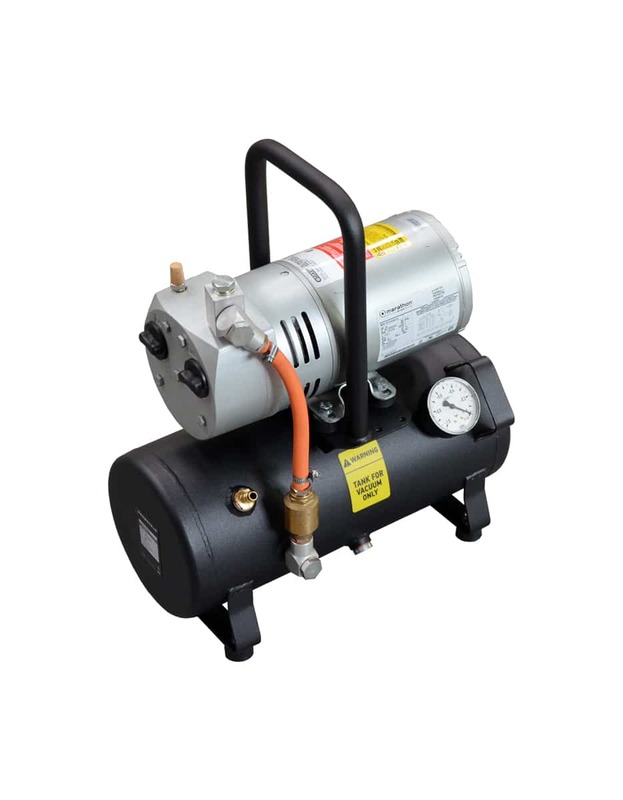 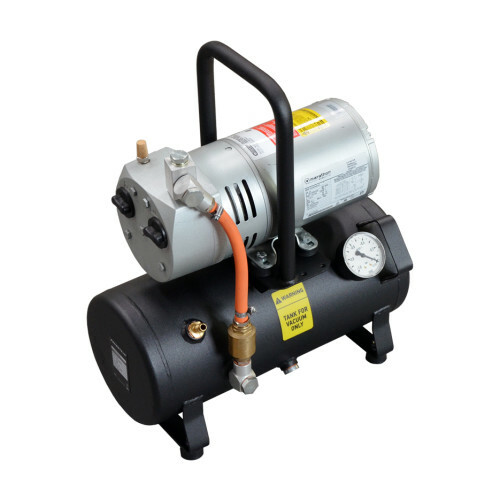 A single pump provides gauge pressure sufficient for up to 21 vacuum units which provide suction power of 1400 N (at gauge pressure of –0.7 bar / –10 psig). 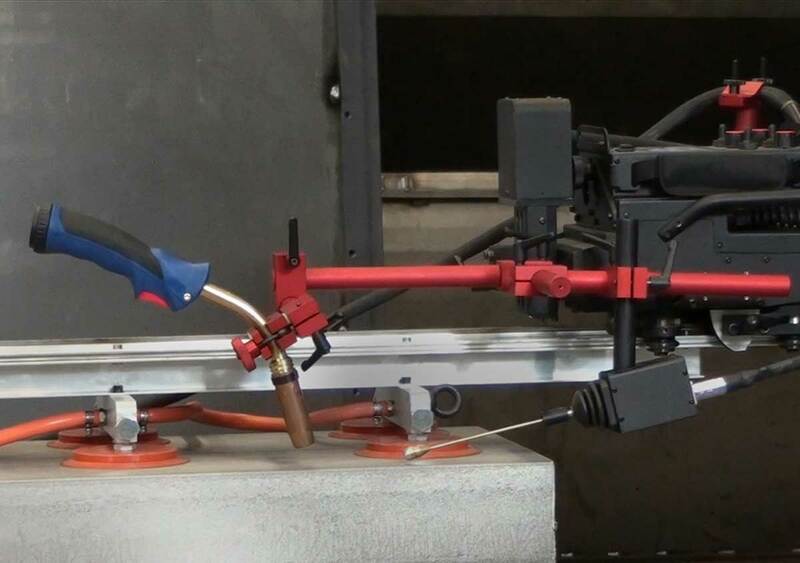 The permitted load is up to 30 kg (66 lbs) – welding/cutting tractor with accessories. 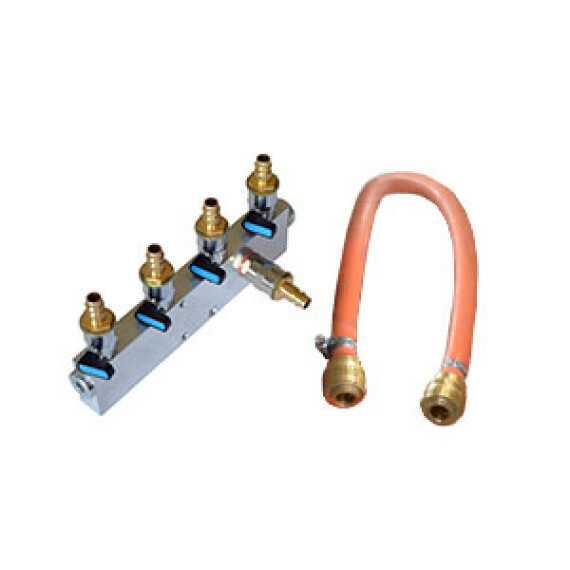 An optional manifold can separately connect vacuum units of up to four rails, what allows rail leapfrogging during operation. 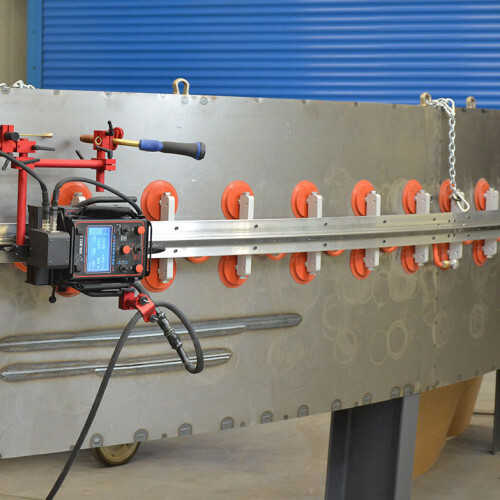 Temperature of material on which vacuum pads are used cannot exceed +320°C (608°F). 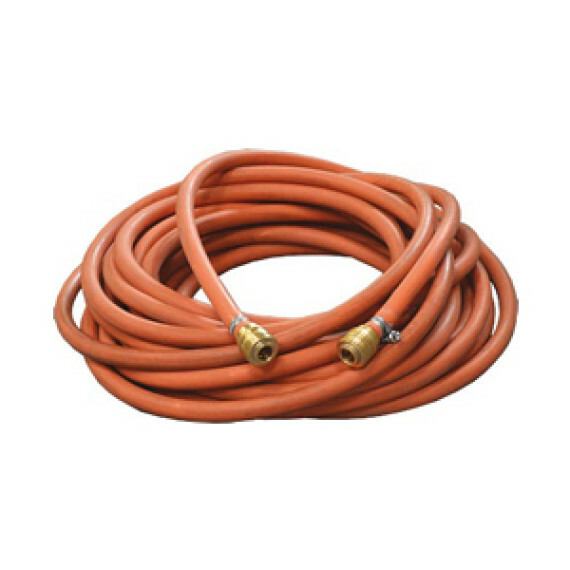 Heat source must be kept at least 100 mm (4”) away from vacuum pads. 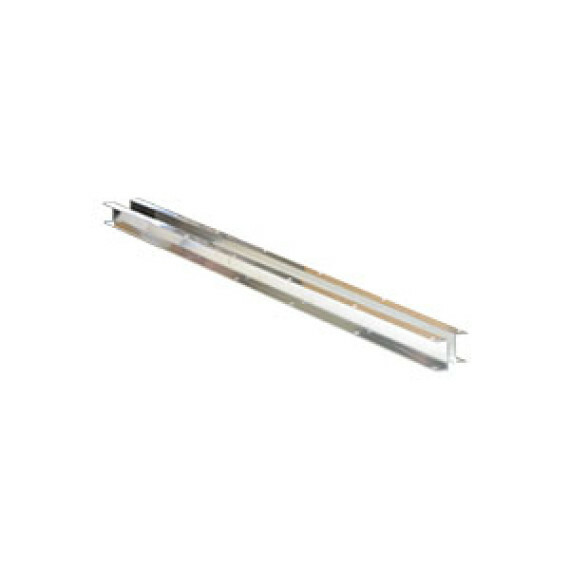 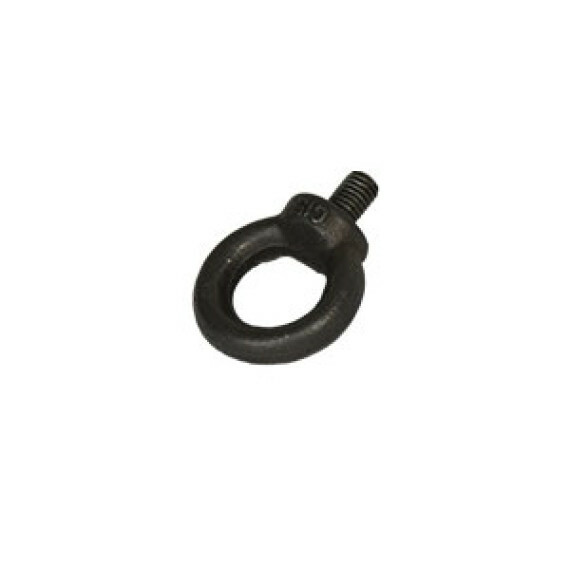 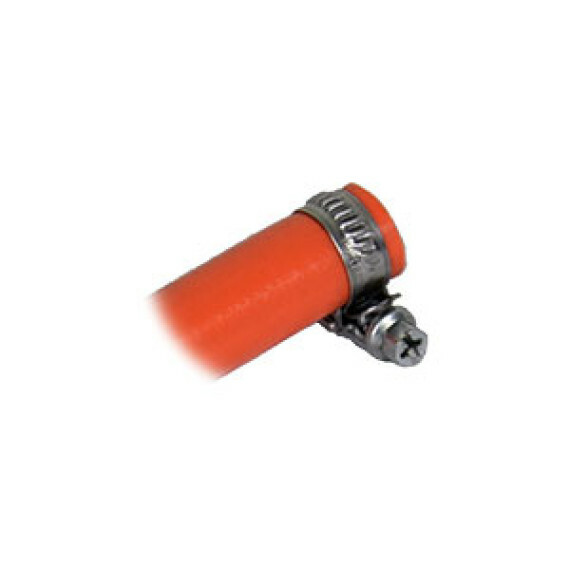 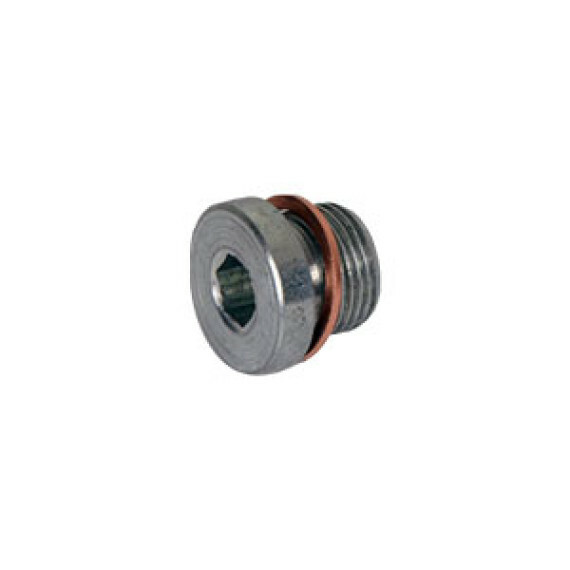 Safety eye bolts are provided to suspend vacuum rail tracks and protect them against accidental fall.